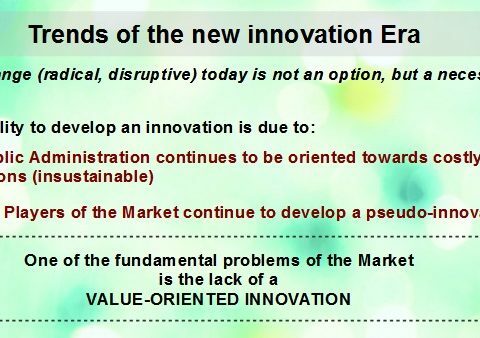 Today there is no real innovation (actractive and sustanable for Customer), both by the part of the Big Player of the Market and by the part of the Public Administration. 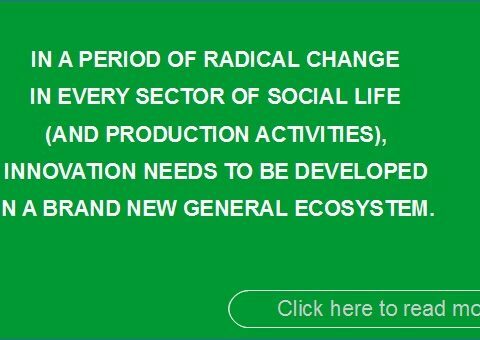 The introduction of new tools (based, on ICT, IoT, …), and the development of new ways of social interaction and new modes of work and consumption, is inducing a virtuous circle of evolution in the Society. 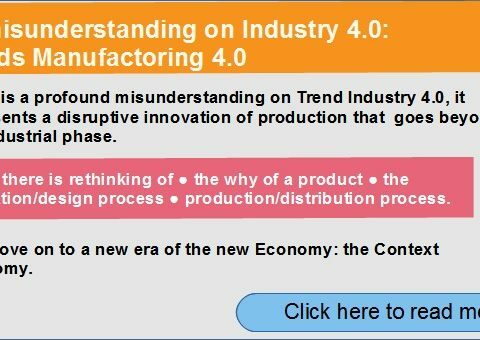 The “revolution” (dirsruption) that is transforming the world of production is a phenomenon radically different from the one today defined as Industry 4.0. 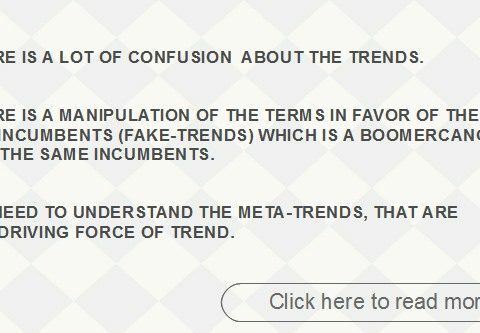 The change concerns not only the product, but everything connected to it. Today it is necessary: a rethinking ● the why of a product ● the ideation/design process ● the production/distribution process. 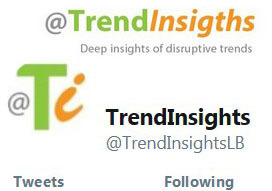 We move on to a new era of the new Economy: the Context economy. 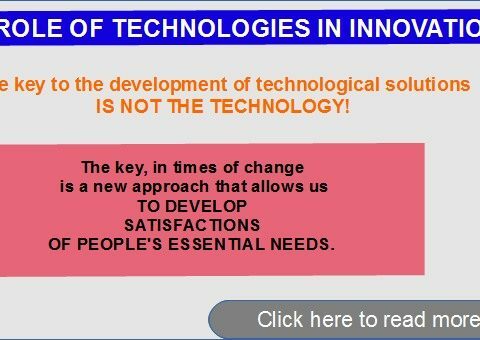 The key to the development of technological solutions IS NOT THE TECHNOLOGY! 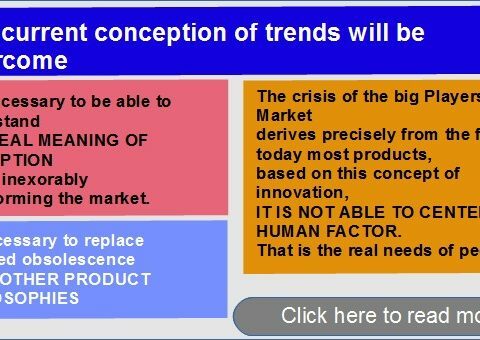 The quantum leap of the Market is defining a role of technologies.